The high definition DVD format, also known as HD-DVD, was one of two high definition formats, the same size as a CD and DVD, that was introduced into the marketplace. The other format is the Blu-ray disc. The need for these formats was sparked by the emergence of high definition television, which became quite popular among the television buying public. In order to playback movies in high definition, an optical disc format with a high storage capacity was required. DVDs provide very good movie quality on regular televisions, but suffer when it comes to being shown on high definition televisions. DVDs do not have the storage capacity that is required to store a full 1080p high definition movie. In fact, a DVD can only hold 20 minutes of high definition television footage. Also, the recordable DVD and erasable DVD formats do not have enough storage capacity to be able to record high definition programming. Therefore, high definition digital optical disc formats were born. Week ending 29 of December 2007 - Blu-ray player sales versus HD-DVD player sales were 60.2 to 39.8 percent. Week ending 5 of January 2008 - Blu-ray player sales versus HD-DVD player sales were 51.2 to 48.8 percent. Week ending 12 of January 2008 - Blu-ray player sales versus HD-DVD player sales were 92.5 to 7.5 percent. The data show a drastic decrease in HD-DVD player sales after the Warner Bros. announcement. 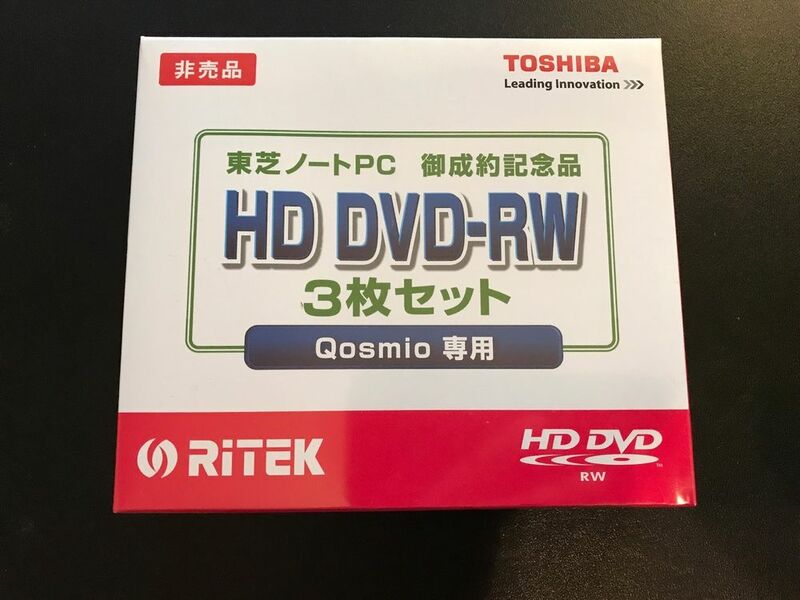 Then in February of 2018, Toshiba decided that it would halt production of HD-DVD players and that was it for the format. The overall reason for this move was essentially a lost format war with the Blu-ray disc, which is not compatible with the HD-DVD. This means that high definition DVD players and recorders cannot accommodate Blu-ray discs and Blu-ray players and recorders cannot play or record HD-DVD discs. Sony and many other manufacturers were part of the Blu-ray disc group that managed to dominate the market and push the high definition DVD group to fold. More information on the format war between HD-DVD and Blu-ray can be found at this PC World link. 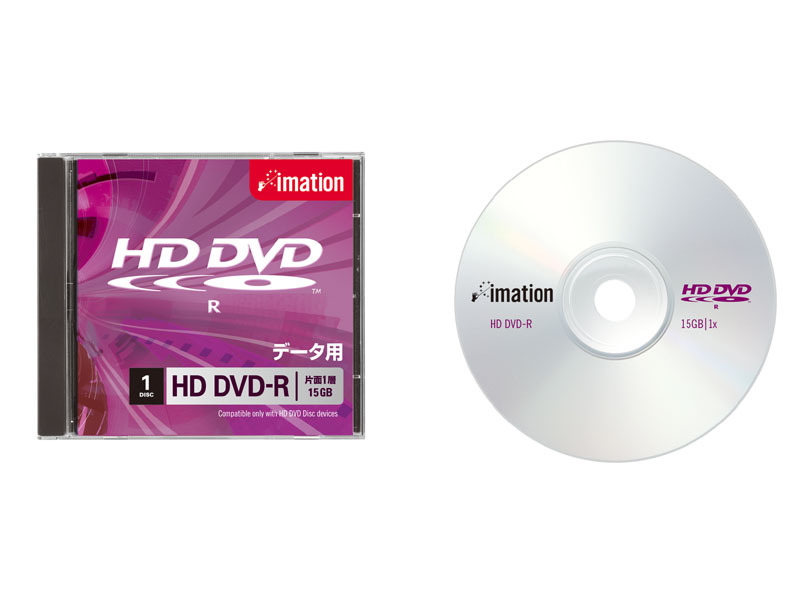 A HD-DVD disc is the same size as a DVD and of similar construction and similar manufacturing. In other words, this format is two discs glued together to form one disc. The advantage of using this structure was that current (at the time) lines that were manufacturing DVDs, could be used to make HD-DVDs, with very little retrofitting of the equipment. This makes it much more cost effective than having to bring in new equipment as would be required to produce the Blu-ray format. Other main difference when comparing to regular DVDs is greater storage capacity. A HD-DVD with one information layer is in the 15 to 20 GB range, which is about 3 to 4 times greater than a one information layer DVD. The greater storage capacity means that a different laser is required to read the disc. The laser is not red like in DVDs, but rather blue which has a much shorter wavelength (405 nm compared to 650 nm for DVDs and 780 nm for CDs). Because of the disc construction, the high definition DVD has a lower capacity than a Blu-ray, where a single layer disc has a capacity of 25 GB. This is one of the significant disadvantages of the high definition DVD versus the Blu-ray disc. High definition discs were available in the three categories of discs: read-only (HD-DVD), write-once (HD DVD-R), and erasable (HD DVD-RW or HD DVD-RAM). 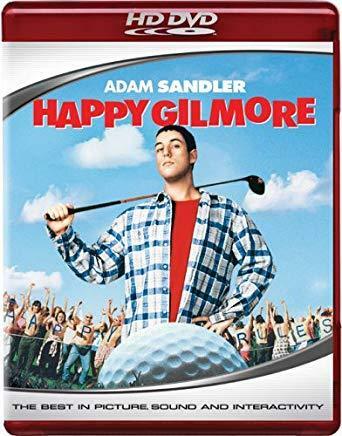 Although HD DVD movies discs were readily available, the remaining formats never gained much momentum in the marketplace because the format was not in existence long enough for this to occur. Regardless, HD DVD discs are no longer being manufactured and neither is the equipment to read them. Once the current crop of players stops functioning, then the information on these discs will no longer be accessible. Therefore, it is obvious that the high definition DVD is not an option for digital scrapbooking storage. This highlights the importance of proper media selection when deciding what to store your digital memories on. It is important to invest in a technology that is well-established in the marketplace for several years because this ensures the technology will have good longevity and persist into the future. New and non-established technologies may suddenly disappear from the marketplace leaving your information at risk of loss.